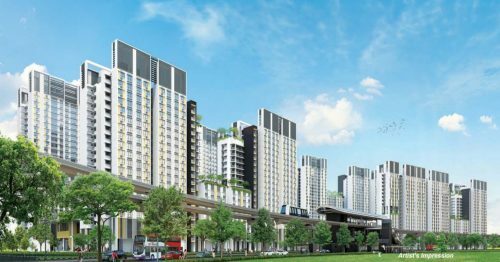 Demand for new Housing and Development Board (HDB) flats at the Bidadari estate remains strong. As of 23 November, five-room flats were more than 15 times oversubscribed, while four-room flats were oversubscribed by approximately four times. 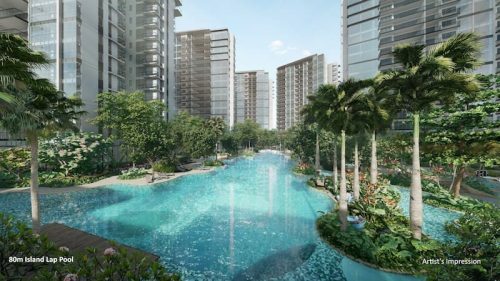 The Bidadari estate has been compared with mature estates such as Clementi, which was oversubscribed by approximately ten times in the June sales exercise. For the rest of 2015 most analysts expect Singapore’s residential property market to remain subdued, although sentiments and transaction volumes might improve in anticipation of cooling measures being relaxed. Analysts from Orange Tee, BMI Research as well as JLL do not expect the government to tweak the cooling measures soon. BMI research believes that the government is waiting for a deeper correction of the market, but foresee a property market pick-up in activity and price if there is indeed a larger correction. Orange Tee’s Celine Chan believes rents will remain weak due to possible interest rate hike and an influx of supply. Ong Teck Hui, National Director, Research and Consultancy at JLL likewise forecasts weak market activity till the end of the year. He cites the cooling measures, slowing economy as well as an expected rise in US interest rates as reasons for weaker market activity. Economists believe Singapore’s financial system and economy should be able to handle gradually rising rates. 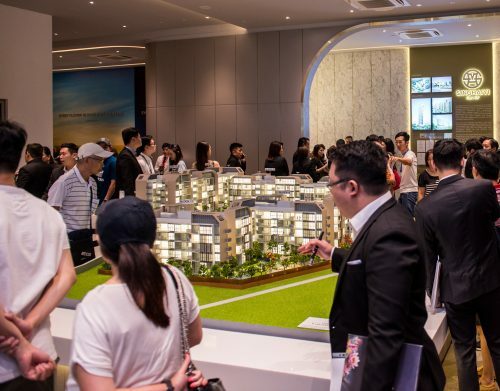 Measures such as the Total Debt Servicing Ratio (TDSR), which reduces excessive borrowing and exposure of Singapore’s banking sector to the property industry, has supported this. After seven years of near-zero interest rates, the United States Federal Reserve signaled a possible increase in borrowing costs for December. Analysts believe this can have a positive impact on Singapore’s export-oriented economy. However, UOB economist Francis Tan anticipates Asian economies will require some time before feeling the positive spillovers from a stronger US economy. According to the Real Estate Developers’ Association of Singapore’s (REDAS) Q3 2015 Sentiment Index, real estate professionals have a gloomier market outlook as compared to three months back. Apartment prices have dipped by up to eleven per cent, with approximately 3,000 units constructed on sites tendered in 2012’s Government Land Sales Programme remaining unsold. Higher costs of production resulting from higher specifications and better build quality have led to lower profit margins for developers. Developers are also concerned about supply-demand imbalance. Piling on developer woes, the government is showing no signs of relaxing cooling measures. In September, transaction volume remained tepid, with developers selling 31 per cent fewer new private homes than in August. Developers launched only 391 units for sale in September, compared to 598 units in August. Developers sold 5,963 private homes in the first three quarters of the year, a one per cent year-on-year decrease. However, this is less than half of Q3 2013’s sales figure of 12,666 units sold. The Real Estate Sentiment Index dipped 0.2 points quarter-on-quarter, whereas the Future Sentiment Index fell 0.3 points, signaling a negative outlook for the market in the next six months. CEO of PropNex, Mohamad Ismail Gafoor believes cooling measures such as the Total Debt Servicing Ratio (TDSR) is important in the long run as it encourages prudence. On the other hand, he finds the Additional Buyer’s Stamp Duty (ABSD) necessary only when the market is overheated. Ismail believes that public housing should not fall beyond 20 per cent of the previous peak. A recent JLL report highlighted residential markets in three Southeast Asian cities during Q3 2015. Bangkok saw four projects launched, attracting both local and foreign buyers. By the end of Q3 2016, the city’s central business areas will see 5,300 units completed. Unsold rates in the area are expected to remain low considering 88 per cent of these units have been pre-sold. Manila is experiencing an increase in residential demand around the city due to the rise of multi-national companies. Their expat employees are looking for housing in and around Manila. Foreign retirees have also pushed demand up. Manila will however face a supply glut in the near future, with more than 7,000 units expecting completion in the next six months. The completion of these units might cause vacancy rates to rise. Cooling measures imposed on Singapore’s residential market have subdued the market. 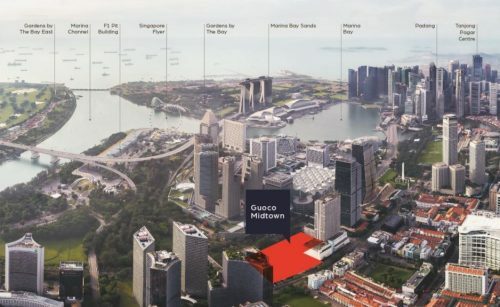 There were no new launches in Singapore’s prime districts in Q3, and annual new supply is expected to drop drastically over the coming years to 1,000 to 1,500 units annually. This is down from an average of 3,100 annually from 2010 to 2014. Supply has fallen due to rising unsold inventory. The end of Q3 saw 1,200 unsold units, a 23 per cent increase compared to end of 2014. As investors ‘wait-and-see”, capital values are declining and are expected to continue dipping. Cambodia continues to realign itself as an attractive investment destination supported by its booming casino industry. Sihanoukville, the country’s premier tourism and backpacker destination, has traditionally attracted tourists on weekends and holidays. If Sihanoukville can continue to attract investors to its growing gambling scene, there will be a positive effect on the construction and tourism industry. High quality mixed-used and condominium projects are already appearing across the city, with a recent project having already sold 200 out of a planned 900 units before ground-breaking last May. Investors are mostly from Cambodia, China and Taiwan. It is hoped that a growing gambling scene and more tourists will bring more long-term property investors to the city. Hong Kong’s residential real estate market growth has enjoyed a consistent climb since the aftermath of the 2008 financial crisis, with rental and price indexes steadily increasing. Amid concerns of a bubble from sceptics who attribute this to mainland Chinese buyers, the Hong Kong government has imposed cooling measures over the last five years to curb excessive investment and buying activity. In November 2010, the government imposed a Special Stamp Duty, levying a punitive fee on properties purchased and resold within three years in a bid to control rampant residential property speculation. In February 2015, new cooling measures were put in place. It effectively crowded out “weaker” home buyers – those who cannot afford the higher down payments. While overall transaction volumes in October decreased 22.6 per cent compared to September, demand has not dropped significantly. Those who invest are people who can afford to, and they usually look at luxury properties. Popular areas for real estate investment include Victoria Peak and Midlevels. Whether investors will shift their gaze beyond Hong Kong Island remains a question, but demand for residential property is expected to remain high in the years to come. On top of the cooling measures, Hong Kong’s government is also committed to increasing housing supply to exert downward pressure on prices. By 2016, 20,000 new units are expecting completion, representing a 50 per cent year-on-year supply hike. Looking at the long term, 490,000 new homes will be provided in the next decade, with 86,000 private home units looking to enter the market within the next four years. The new supply should reignite demand as buyers will have more choice to release their pent-up purchasing power on. On 25th November, the US Commerce Department said sales of new US single-family rose 10.7 per cent to a seasonally adjusted annual rate of 495,000 units. Sales for September saw a downward adjustment to 447,000 units from the 468,000 units reported earlier. Median prices of new homes saw a six per cent drop compared to a year ago, to US$281,500. On the other hand, the National Association of Realtors said US home resales dipped 5.56 per cent compared to September. Home sales in October rose 3.9 per cent year-on-year, mainly due to tight inventory. London Mayor Boris Johnson has given the green light for what is said to be Britain’s biggest single regeneration development managed by one developer. Development on the Greenwich Peninsula site will provide Londoners with thousands of new homes, as well as creating jobs in the east of the capital. 99 per cent of the developable Greenwich Peninsula land is now in the pipeline, and it will provide a minimum of 200,000 homes in east London over the next two decades. This development comes at a time where there is a critical shortage of housing, and it will supply affordable homes. More than two-thirds of the homes will be for social rent not costing more than fifty per cent of market rent. However, buy-to-let landlords are upset over UK Chancellor George Osborne’s Autumn Statement and Spending Review as they face a three per cent increase in Stamp Duty Land Tax. 2021 will see £1billion raised as a result of stamp duty changes in England and Wales. The three per cent stamp duty raise will be levied on buy-to-let properties and purchase of second homes starting April 2016.